If you look around the industry you will find safes that are nothing more than a thin metal box. Upon further investigation you will find that there is more to a safe than you originally thought. Search the Internet and you will find many companies that proclaim to be safe “authorities” that tell you what you are supposed to know about buying a safe. Look long enough and you’ll start to see that there is often conflicting information. In our experience, what usually happens is that the customer makes a guess as to what they need and often the decision centers on size and price. Some companies will say “that some protection is better than nothing at all” and sell you an cheap safe that can be easily pried open or will not protect your valuables in a fire. This is called security on sale. When you stop to consider the reasons to invest in a safe, it comes down to a very simple but extremely important issue: The contents you wish to protect are usually some of the most important and valuable items you own. We work with individuals and companies all over the U.S. for their security and safety needs. Many of our customers include state and federal agencies, jewelry stores, large corporations, and individuals like you. 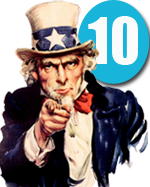 For our customers benefit, we have put together a “Top 10″ list that will breakdown the most important aspects of deciding what product will fit your specific needs. You could probably find this information by taking a considerable amount of time searching the Internet, but we’ve narrowed it down to a simple but powerful list of our ” Top 10 Things We Recommend Before Buying a Safe” Let us put our over 21 years of experience to work for you. Read this article and let us know if you have any questions. Gun safes come in many different styles and sizes. Many are only thin metal gun cabinets without fire or burglary protection. You should first consider construction, thickness of metal and type of locking mechanism, followed by fire rating when looking for a gun safe. Gun cabinets in the past were made of wood and glass and would showcase your weapons for everyone to see. Now a good quality gun safe to protect your weapons and other valuables is a necessity. Don’t rely on a cheap thin metal cabinet to protect your guns. If you look around the industry, most low end gun cabinets have very thin metal bodies made from 16 or 18 gauge steel. A standard hammer and large screwdriver can easily break into a gun cabinet. A quality gun safe should use a minimum of 12 gauge steel in the body of the safe and preferably 10 to 7 gauge steel. Door construction is very important. Look for a gun safe with at least ¼” of solid plate steel or composite equivalent in the door. More secure gun safes have a 3/8 to 1/2″ steel plate in the door. Most gun safes have Underwriter Laboratory burglar ratings starting with RSC (Residential Security Container) The better quality gun safes have higher of B Rated, U.L. TL-15 (Tool Resistant) and U.L. TL-30. 3. Don’t buy a safe with a Security Rating that is too LOW for the content value. We have many customers that come to us want to protect a wide range of items, from important documents to high value items. For these customers we would recommend a well built composite safe or a BF rated safe or greater. Hidden safes and Wall safes are generally not a good place to store large . Wall safes are great little safes that can be concealed and don’t take up a lot of room, but they have severe limitations when it comes to burglary and fire resistance. Wall safes are typically constructed of thin gauge metal and are not the best place to keep large amounts of cash, high value jewelry or gold, silver and coins. Why? No need to break open the safe with heavy tools when all you need to do is saw the wall to extract the safe. The question always comes up, “But a wall safe can be hidden whereas the other safes are right there in plain sight.” The problem with this reasoning is that we tend to underestimate the intelligence of burglars and must consider these people already plan on looking in odd places (like closets, refrigerators, mattresses and ovens) for your hidden valuables. A great use for a wall safe is to keep prescription drugs away from employees, children or family members. High end jewelry can be stored for very short periods of time, provided your home or business has a monitored burglar alarm system. Fire ratings are often overlooked but should be one of your top considerations. We recommend that you purchase a minimum 1 hour fire rated gun safe. Safes with less than a 1 hour fire rating will not provide adequate protection to survive a typical home or business fire. Why spend your hard earned money on a gun safe that won’t protect your guns and ammo during a fire? If you are on a limited budget then select the safe with the longest fire protection that you can afford. Many customers have read that a fire rated gun safe will protect their important documents. This is only partly true, our recommendation is to look for a U.L. or a U.S. made safe with a Certified fire rating of 1 hour or greater If you are thinking of placing any important documents or delicate items in the gun safe consider adding greater protection by investing in a small U.L. rated fire box you can place inside the gun safe for your paperwork and more delicate items. First, beware of any company that calls their safe “fireproof”, There are no “fireproof” consumer safes on the market today, they are all fire resistant, meaning that they resist heat and smoke (and some protect against water) over a given period of time , usually 30 to 60 minutes. Fire resistant do a great job of protecting paper documents (and even small amounts of cash) from heat and smoke damage, however, fireproof safes use very thin metal (16-18 gauge) metal in the construction of the safe which makes them easy to defeat for a burglar. The metal is primarily used to hold the fire retardant material and can be easily punctured, cut or sawed with simple hand tools. Some of the cheap fire safes on the market today can be opened by simply dropping them on a hard surface. We DO NOT recommend storing high value contents such as large amounts of cash, jewelry or precious metals, in a resistant safe. Over the past 21 years we have witnessed many cheap fire resistant safes that have been easily broken into after the owners mistakenly thought the safe would protect their valuables against a burglary attack. Instead, look at burglar fire safes ( commonly referred to as BF rated safes) that are burglar rated, or for content value above $10,000, look at our high security burglar fire safe. These safes are engineered and designed to protect your valuables against both burglar attacks and fires. 7. Be AWARE that data/media or family photos need more protect than a standard fire resistant safe. If you have any special data or media that you need to protect against fire, a data/media safe is what you should consider purchasing. These safes will keep the inside temperature below 135 degrees as well as the humidity below 85%. Remember, most data and media safes do not offer burglary protection but if this is of concern, we can help you select a data/media safe that offers some burglary protection. As an option you can purchase a small U.L. rated fire lock box that you can place inside a larger fire safe ( Gun Safe) for your more delicate items, this is one way to protect you data / media without purchasing a more expensive data safe. Fireproof safes and burglar fire safes should have a minimum of a 1 hour fire rating. Typically, a safe with less than a 1 hour fire rating will not likely protect any paper or money in the event of a fire. The problem is, you don’t know where a fire could start – it may start right next to your safe and continue to subject the contents of your safe to high temperatures for a long period of time. Fireproof safes are great for protecting paper documents against fire. They are NOT recommended for protecting large amounts of cash or high value items from theft. When you want BOTH burglar and fire protection, look for a burglar fire safe or a high security burglar fire safe. Floor safes offered burglary protection and some degree of fire protection (provided the safe was installed in the floor surrounded by concrete). Floor safes offer great protection for valuables because they are engineered to protect against burglary attacks. Most people assume floor safes will provide excellent fire protection because five sides of a floor safe are surrounded by concrete. With the door exposed and made of ONLY metal, heat from a fire rapidly enters the safe. Floor safe doors are made of plate steel that ranges from ½” to 1½” thick and unfortunately, nearly all floor safes DO NOT have fire retardant material included in the door. Therefore, most floor safes are not a good product to protect against a fire. If you look at all of the safes brands on the market today there are none that offer a fire rating. For over 21 years we have been drilling open all kinds of safes including floor safes. When safes have a fire rating over 1 hour, in most cases, the paper documents or money have survived. If you need to protect money or important documents, you are much better off purchasing a free standing burglar fire safe or high security burglar fire safe that has 1-2 hour fire rating and is anchored 4-5” into a concrete floor instead of a floor safe. We have many customers that ask us which type of lock is best to have on their safe. Is a dial lock more secure than an electronic lock? Will an EMP event render my electronic lock inoperable? What is a redundant lock ? What type of maintenance do either lock require? We suggest that you place your safe where you are most likely to use it. An out of the way location will make you less likely to use your safe to store the items you purchased it for in the first place. Another consideration is the lighting available to illuminate your lock when you are inputting your combination. The hash marks on a combination dial lock are relatively small and can be hard to see in low light area’s. If you must have your safe in a low light area or be able to access the lock in the dark there are dial lights that affix to the top of the dial ring and illumination the dial so you can see the numbers and hash marks on the dial. 12. What size safe should I buy? That’s a simple question, one that is bigger that you think you need ! The most common feed back from the 1000’s of customers we have had through the years is that they did not buy a safe that was big enough. Also, think of the value of the contents you could be putting in the safe in future years? Bigger is Better when it comes to buying a safe ! 13. How do you calculate the interior size of the safe ? This number will give you the total cubic feet of the interior of the safe which will help you choose a safe in your size range. Always choose a size larger than what you think you will need because you will always collect and find more items to store and protect in the future. 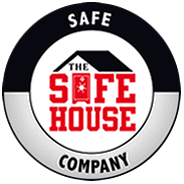 We recommend you purchase the largest safethat your budget can afford. 14. Should I anchor my safe? Anchoring your safe is an easy way to secure your safe. One of the easiest ways for a burglar to break into any safe is to move it somewhere where they have the time and tools to get into it. . Even if you think your safe is hidden you still need to anchor it in case it is discovered by burglars. As recommendation 12 states, being extra careful and taking extra security precautions will keep your items secure. Many burglaries occur because someone in the family or business tells someone else that they have a safe. It might be an innocent conversation, but somewhere down the line, a person that you don’t know, or trust, may find out that you have a safe. We value the privacy of our customers and experience has shown that those who don’t talk openly about what they’re protecting with a safe are increasing their odds of avoiding becoming a target for burglaries. The good news is that if you have invested in the right safe, whether there is the threat of fire or burglary, you can peacefully go to sleep at night knowing that you are protected. Don’t buy a cheap quality safe to store your most prized possessions in. Most of the time you are placing your most valuable and important items that you own in the safe that you purchase. Make sure that the safe you purchase is appropriate for the items you are storing in the safe. If you are looking for more specific information according to your needs, we encourage you to contact one of our safe professionals. The content of this document was developed through years of experience serving our customers and consultations with other security professionals .It is meant to provide general guidelines for the most commonly asked questions received from our customers about safes. Every situation may be different and unique.